Last weekend here in Oregon was absolutely magnificent. 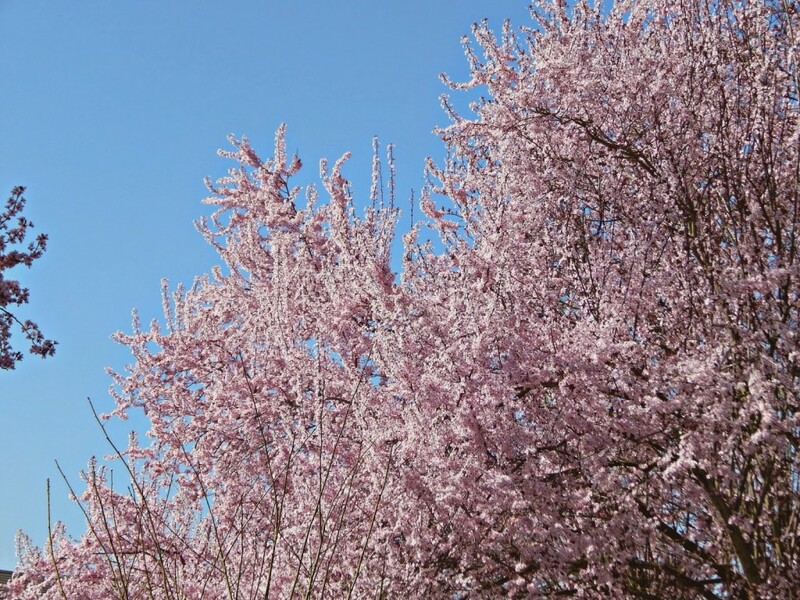 If you didn’t know it was March you would have sworn it was June. 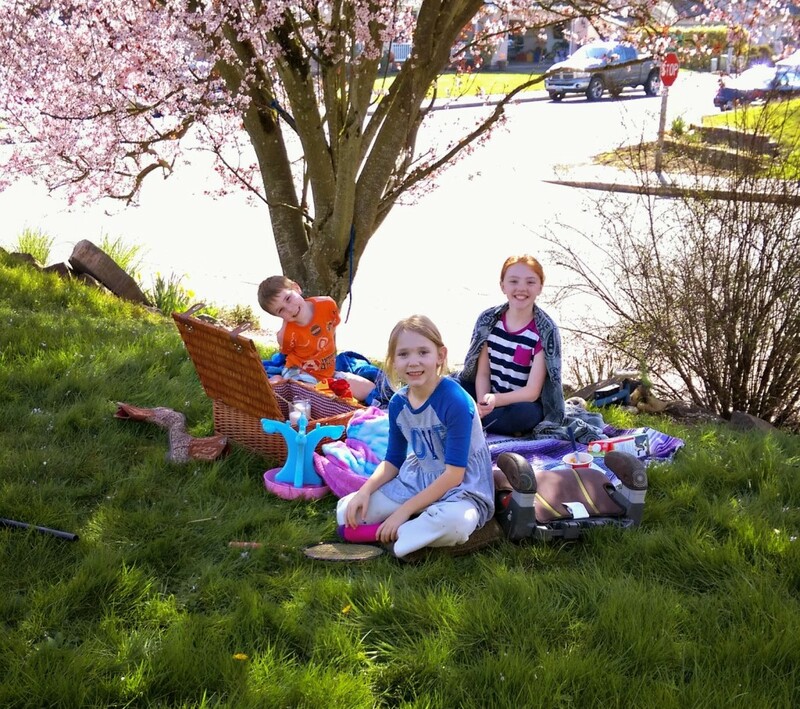 The kids spent the entire day on Saturday playing out in the front yard – jumping, singing, playing make-believe. It really made me excited for the school year to be over and summer to be here! 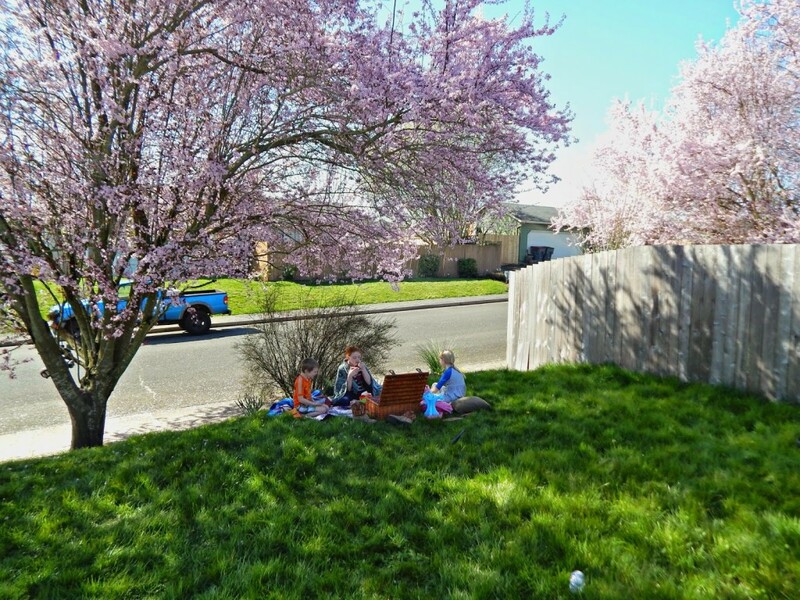 There’s something so relaxing about a gorgeous day and no obligations. 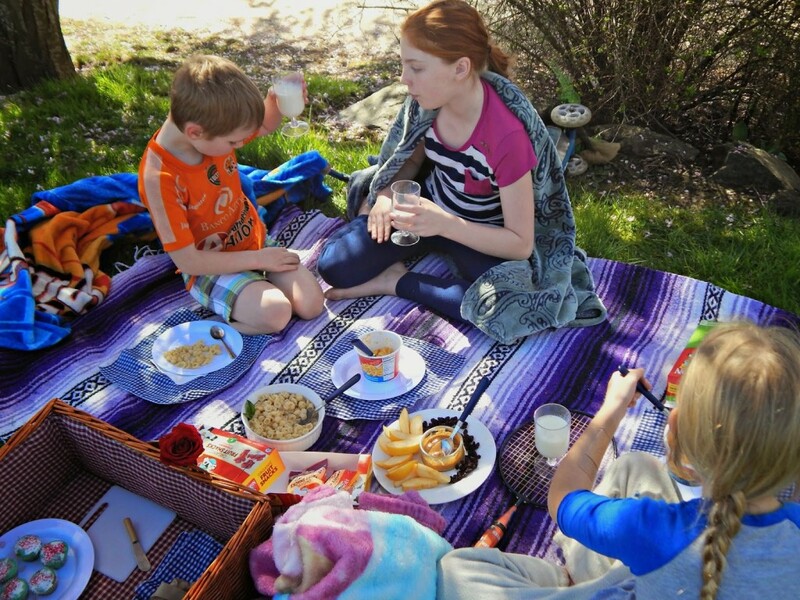 They were having so much fun out there that I decided to break out our picnic basket and let them eat lunch outdoors. They were SO excited when I brought it out! 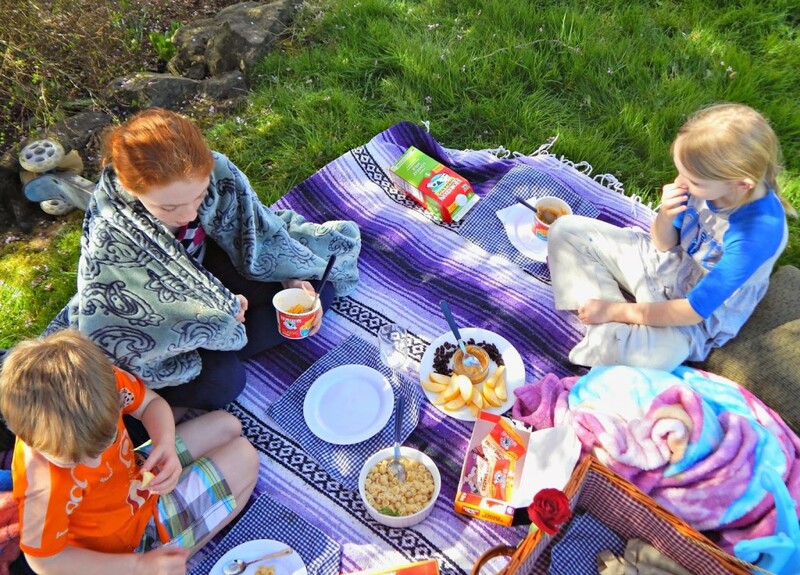 Normally when we do picnics or tea parties we don’t worry about being too traditional. 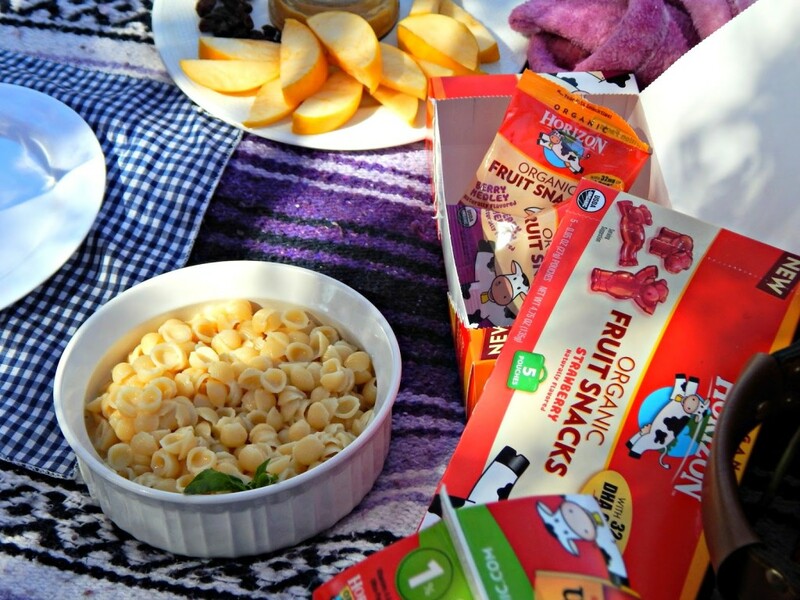 We make whatever we have on hand and what the kids like to eat – so I made some yummy Horizon Organics Macaroni and Cheese, apples slices with peanut butter, raisins, Horizon Organic Fruit Snacks, and milk. 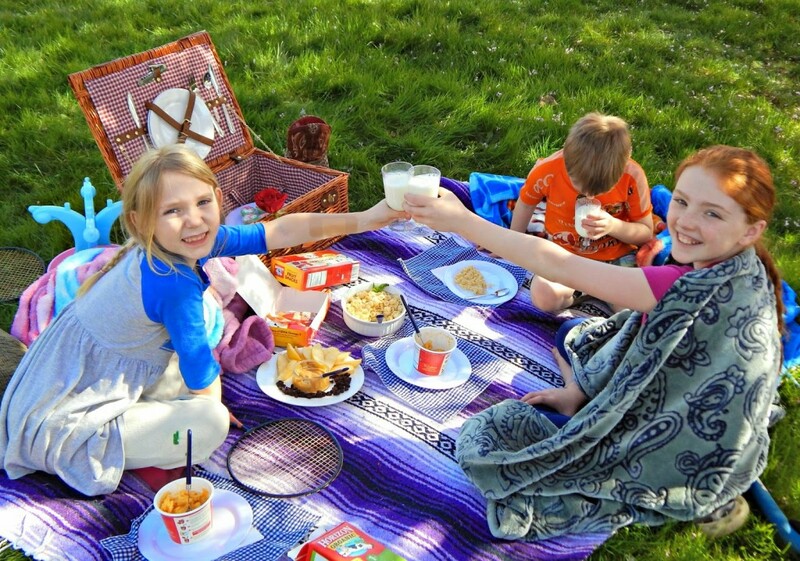 It was definitely a kid friendly picnic! 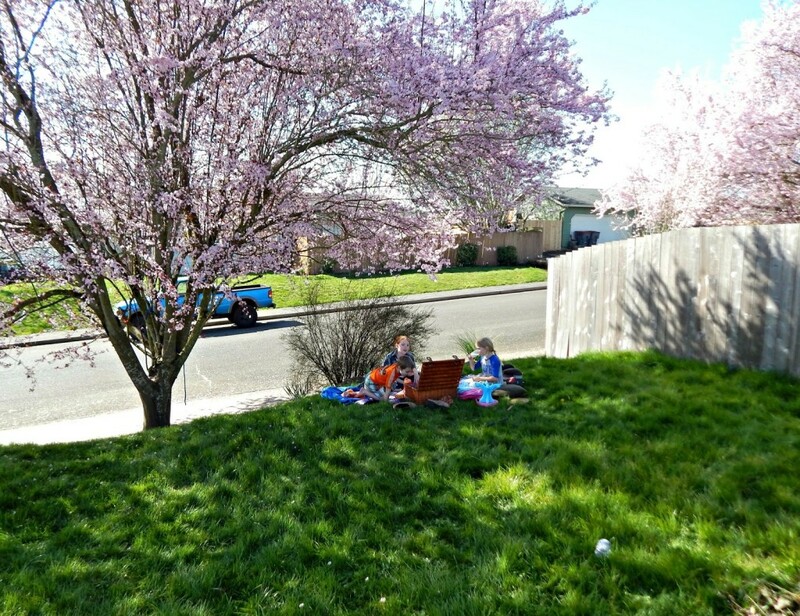 I found the Horizon Organic Fruit snacks at the store last week and thought I’d buy them and see how the kids like them. 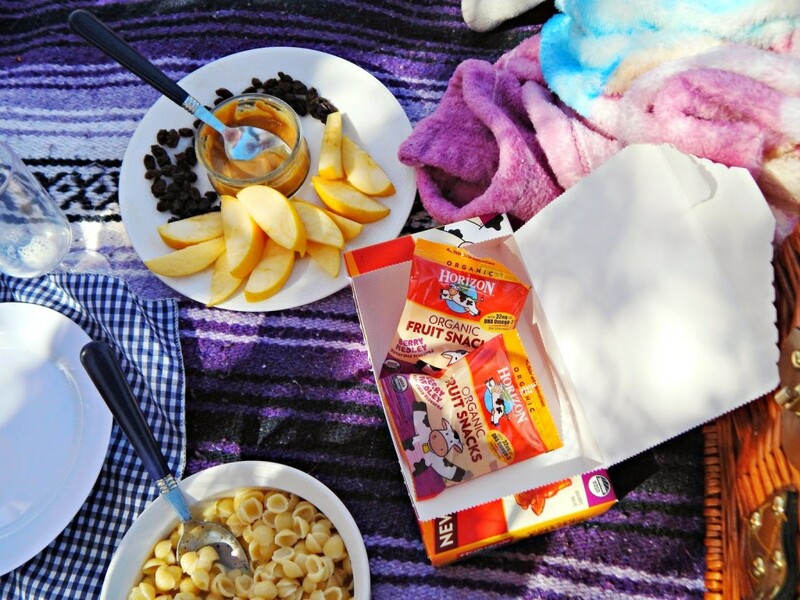 You know that I’m not opposed to having most everything in moderation, but I don’t really buy any fruit snacks anymore because, well, frankly I have to hide them from the kids because they would eat the entire box and sneak them and then I’d have to deal with the aftermath. 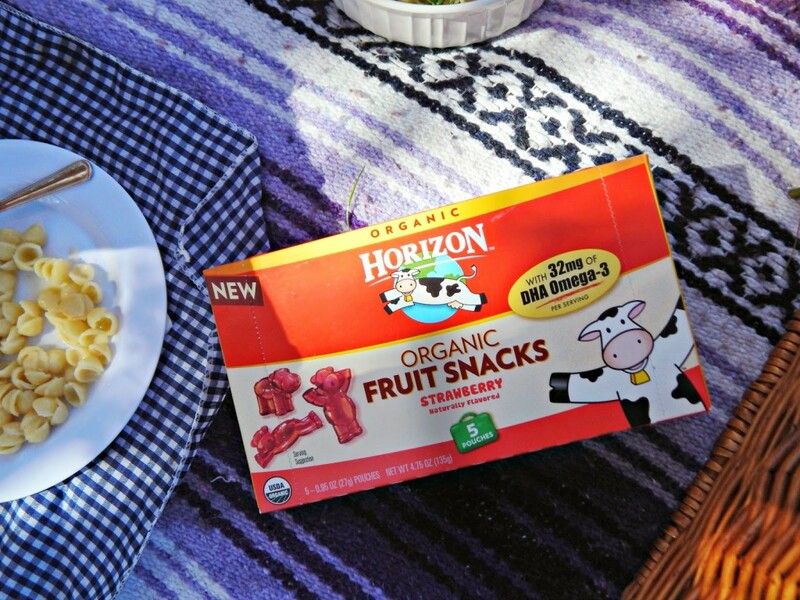 Horizon Organics New Fruit snacks however have no corn syrup and 32mg of DHA Omega-3 per serving – which makes me really happy! 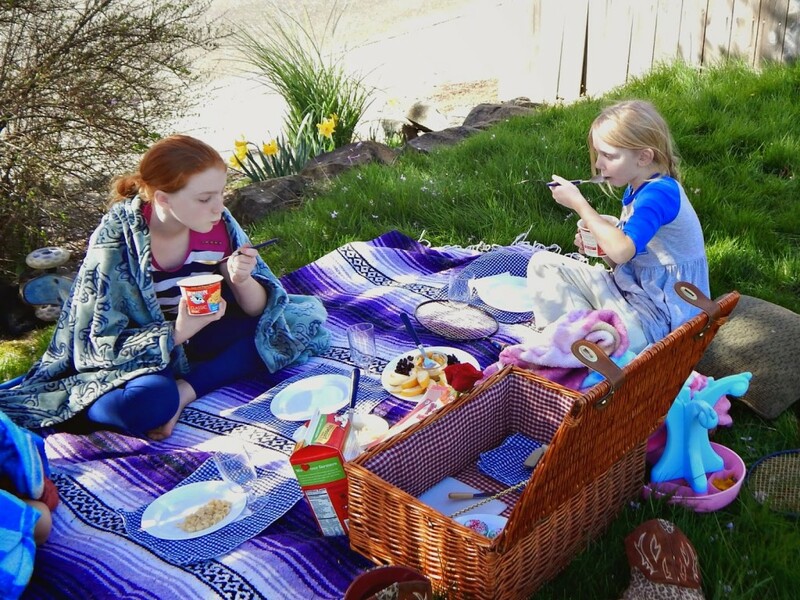 They sat there nibbling and imagining, relaxing with their toys and blankets in the warm sunshine. 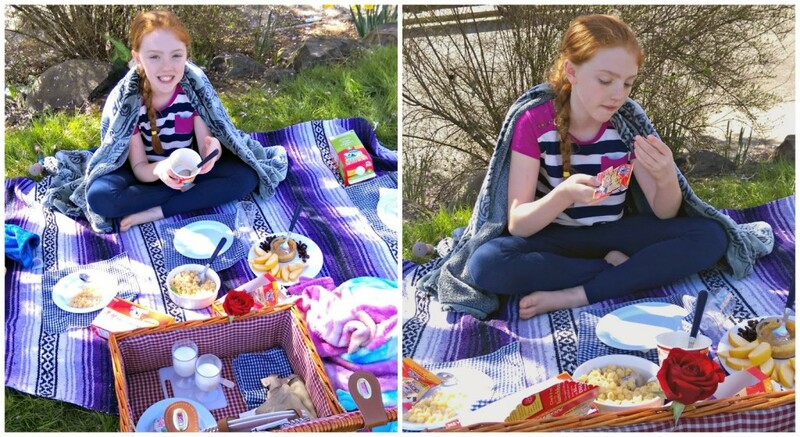 Emma and Anika had Horizon Organics New Microwavable Macaroni and Mild Cheddar Cheese. Noah had some Pasta Shells and White Cheddar Cheese. The more and more I look back upon days and memories made in photos, the more I’m reminded that food plays such a big part in our lives. 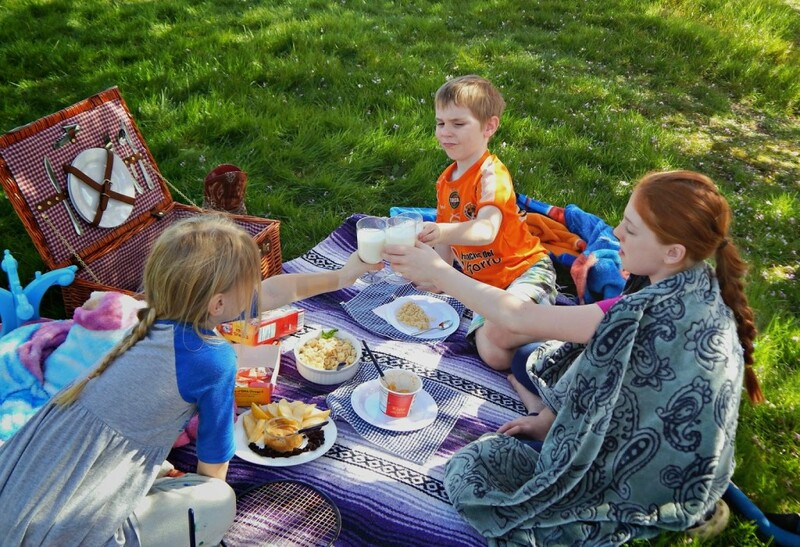 Even little moments like picnics in the yard can only happen when there’s good food to enjoy – and sometimes the simplest classic foods can make life easier as a parent, and create those fond memories for the kids. 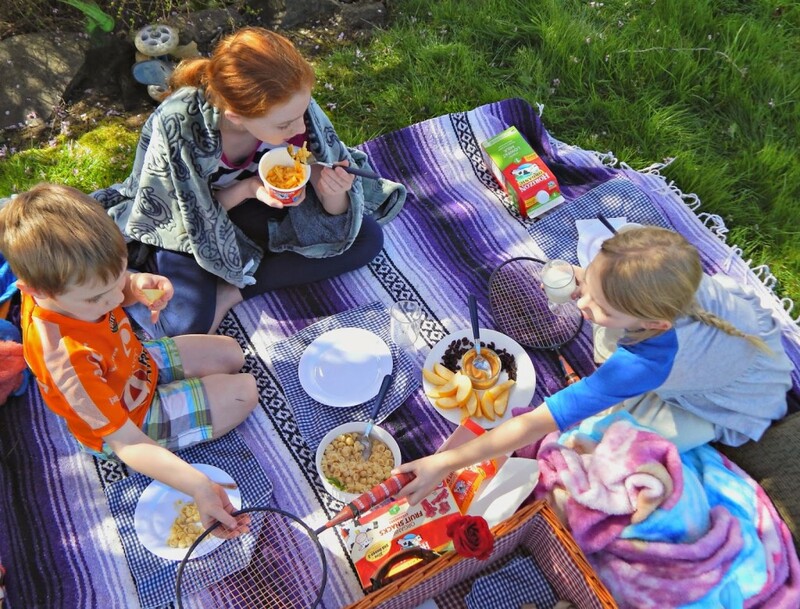 What are some classic foods that your kids enjoy for lunch or dinner? 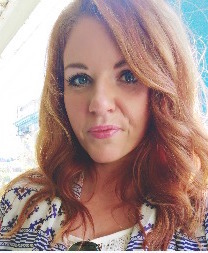 What a lovely post, I enjoyed joining your wee family on their picnic.